Then back via Slovenia and finishing in Austria! 2.000 km through the most beautiful places in the alps and the Dolomites. You will drive together with the germans in 2020 – bigger crowd, more cars – more fun! Where our Summer edition ends on huge camp sites – the Winter edition each night ends at a bar / restaturant or hotel where you check-in and meet the other runners. All runners overnight at hotels, AirBnB etc.. at their own choice and cost – no camp sites (of course). You don’t need a 4×4 – only winter tires are required… (and snow chains). 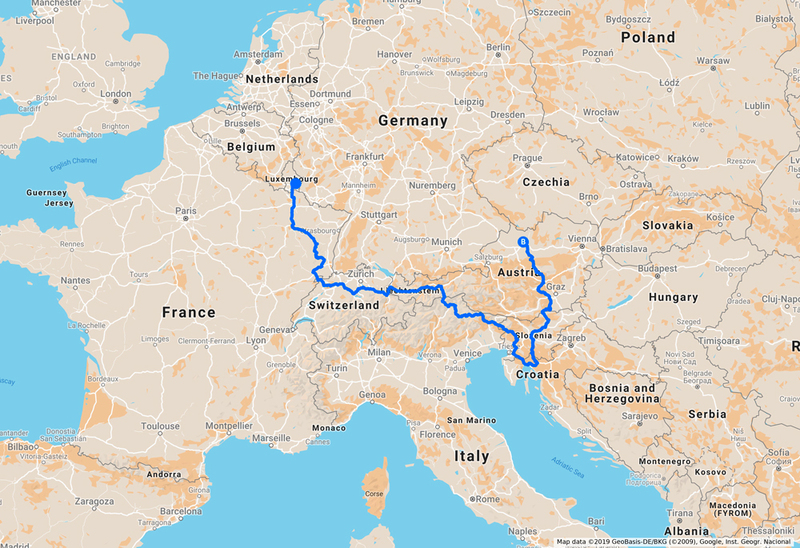 The concept is the same as our Summer edition but a little bit more challenging – drive in a 15 year old (or older) car on Europes most beautiful roads. Each morning you will get the route of the day with crazy tasks which you will have to do if you want to win the Carbage run Winter edition. It is a smaller crowd in the winter so you will probably get to know all your fellow Carbage runners during the run.. and make a bunch of new friends while you are having the best winter holiday you can imagine. All locations plus all relevant information will be revealed in the Road Book which we send out to the participants in december. You will have plenty of time to plan overnight reservations etc. 1 team ticket for two persons – only 299 euros! Extra person ticket: 49 euros. A well planned tour and the best possible scenic routes. Carbage run is not about speed / time. Instead we will give you som challenging and exciting tasks every day. You can earn points by doing those tasks. The team with the most points wins. Also the team with the most unique / original car will win a prize – selected by the other teams. If you have any questions just write to info@carbagerun.dk – read our FAQ or even just google Carbage run Winter edition.